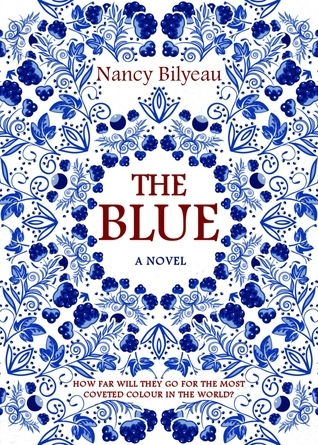 Since reading the Joanna Stafford trilogy (The Crown, The Chalice and The Tapestry) a few years ago, I’ve been waiting and hoping for a new book from Nancy Bilyeau and here it is at last: The Blue. Bilyeau wrote so convincingly about Tudor England in the Joanna Stafford books that I was surprised to find she was switching to an entirely different period for this latest novel – the Seven Years War of 1756 to 1763, a war which involved most of Europe, with Britain and France on opposite sides. Set against this backdrop, The Blue is an exciting, thrilling tale of espionage, art, religious persecution – and the race to create a new and beautiful shade of blue. Sir Gabriel urges her to take up the position she has been offered at the Derby Porcelain Works and track down their chemist who is working on the development of a new colour blue. If Genevieve can steal the formula for blue and pass it to Sir Gabriel, he will help her travel to Venice where, he tells her, she will be taken seriously as a female artist. Genevieve is quick to agree, but once she is in Derby and the true scale of her mission becomes apparent, she begins to have doubts. Why is Sir Gabriel so desperate for the blue? What is the colour’s significance? And what will happen if she is caught? The Blue is a fascinating novel – I learned so much about the production and decoration of porcelain, the meanings of different colours, and the ways in which art and science can combine to create things of beauty – but it is also a gripping and suspenseful historical thriller. One of the things I enjoyed most about the story was that it was so difficult to decide who could and could not be trusted. From the young woman Genevieve shares a room with at the Porcelain Works to Sir Gabriel himself, she has no idea who is on her side and who is likely to betray her. Although she sometimes makes silly mistakes, that is to be expected when she is faced with trying to navigate her way through so many dangerous situations! This is the first book I have read via The Pigeonhole, a website/app which makes books available in daily instalments (referred to as ‘staves’). Each stave ended on a cliffhanger which left me desperate to get back to the story the following morning and reading it over a period of ten days was a wonderful experience. The book is written in present tense, something I usually find off-putting, but it seemed to work much better in the serialised format because it helped me to feel closer to Genevieve, almost as if I was sharing in her adventures as they happened. I would love to read a sequel to The Blue, but if that doesn’t happen then I will look forward to whatever Nancy Bilyeau chooses to write about next. Thanks to The Pigeonhole and Endeavour Quill for the opportunity to read this novel. I read The Chalice and didn’t enjoy it much but admitted that it might have been better if I had read the first book. This one sounds more interesting but not sure I want to read more Bilyeau. I enjoyed The Chalice but I remember finding it confusing, so I think it would have probably been better to have started with the first book. You are the second blogger I follow to make me want to read this book! That’s great – I’m glad you’re tempted! I’ve never read this author, and while this book sounds interesting, I’m still not sure. I really enjoyed it, but it won’t be for everyone. The Pigeonhole sounds like an interesting concept and a way to discover books. I think it’s a good idea and this book was perfectly suited to the serialised format, with so many chapters ending on cliffhangers. I’ll probably be reading more Pigeonhole books.